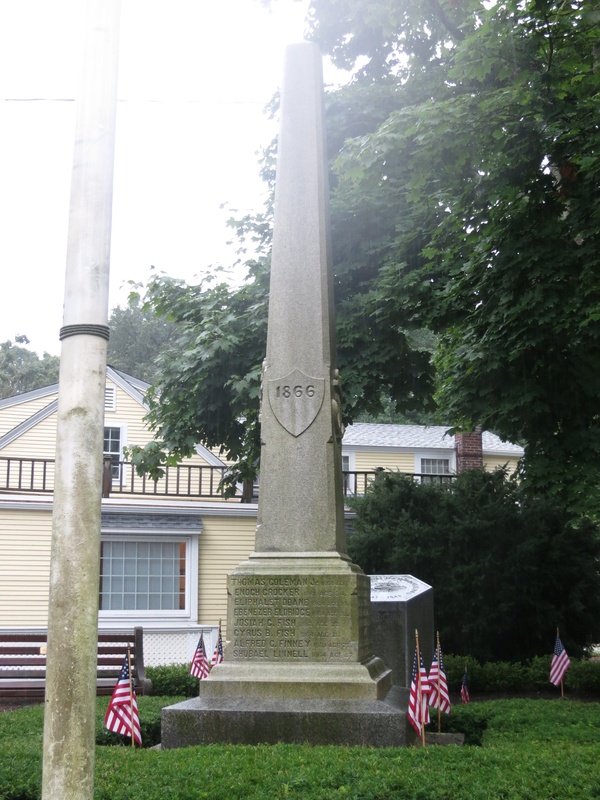 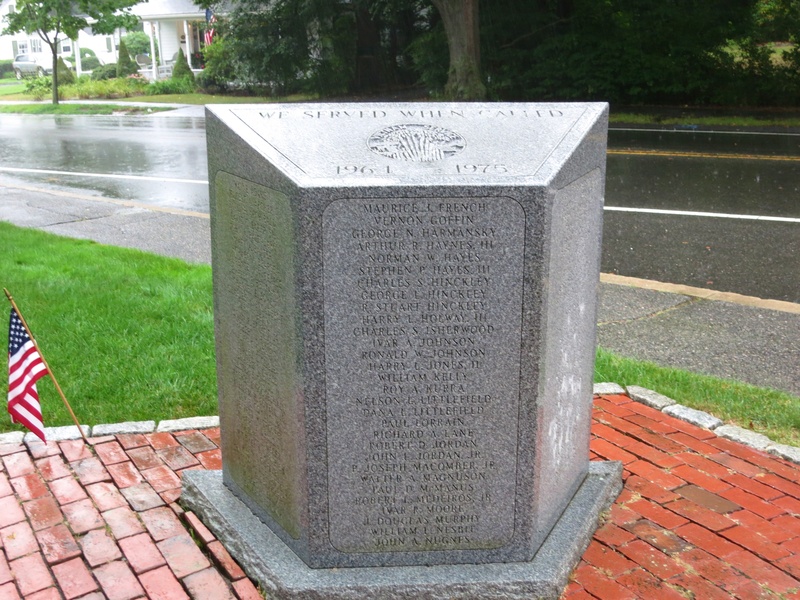 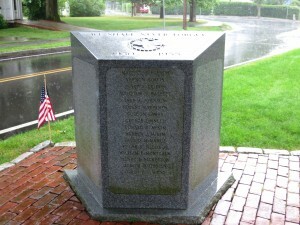 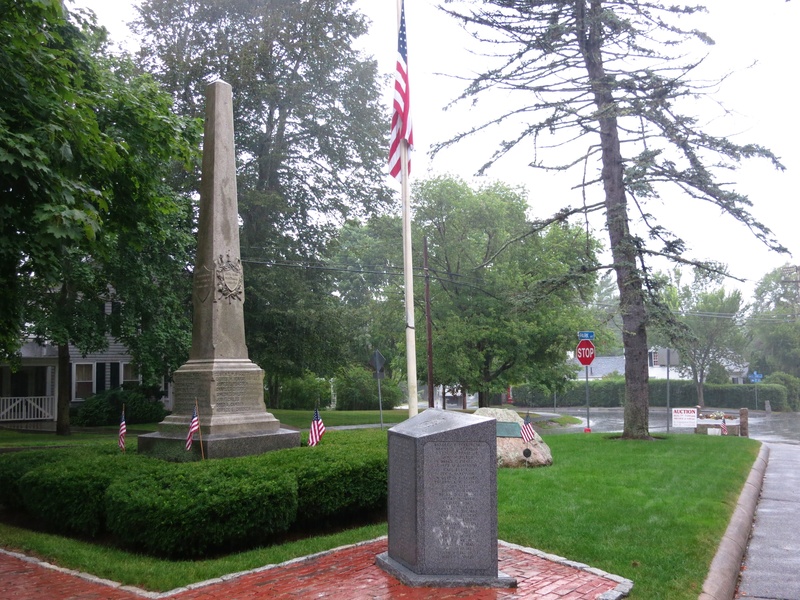 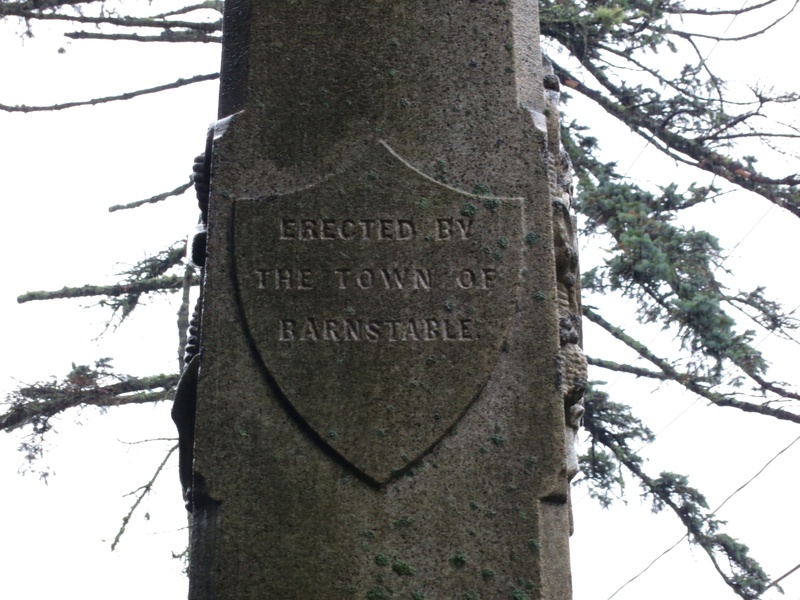 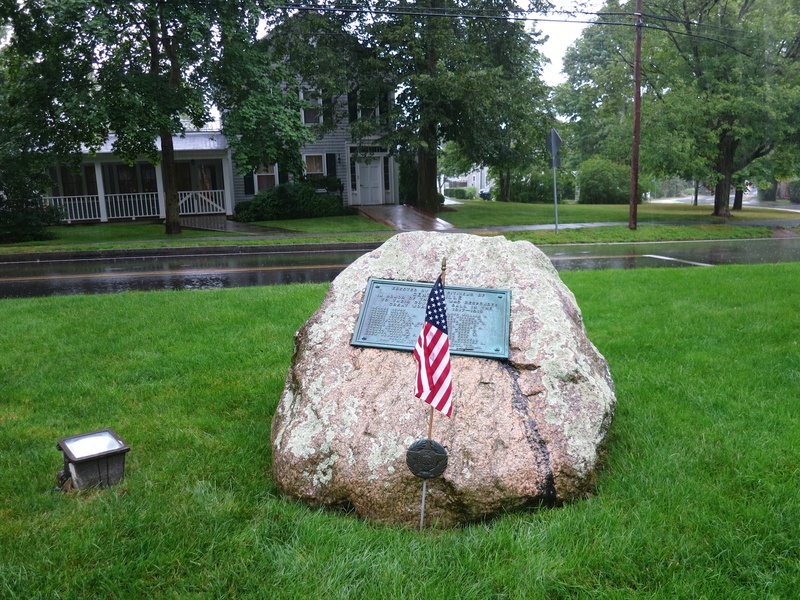 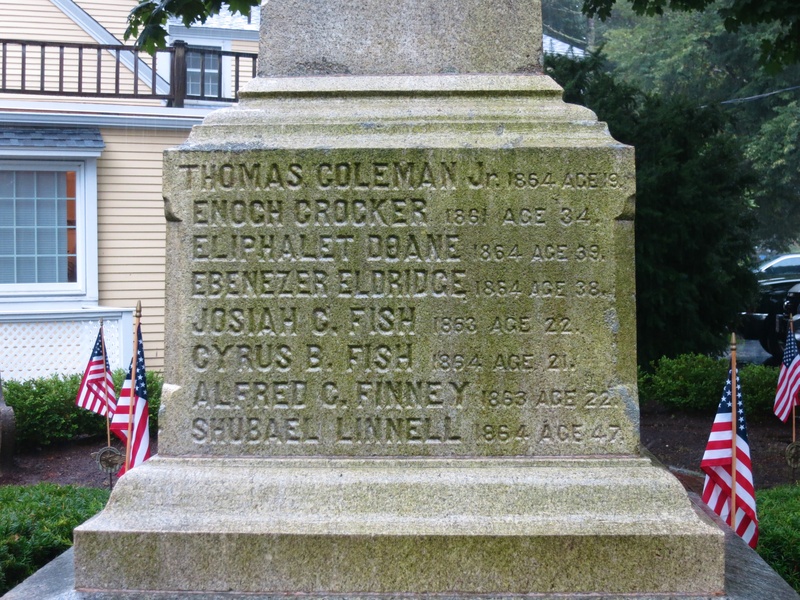 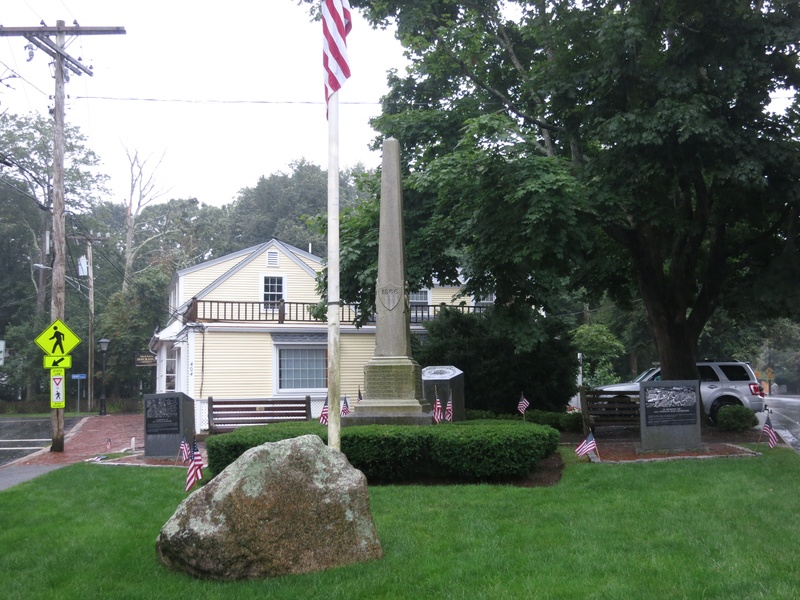 One of the oldest Civil War monuments in Massachusetts stands on a small green in the Centerville section of Barnstable. 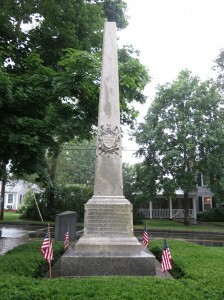 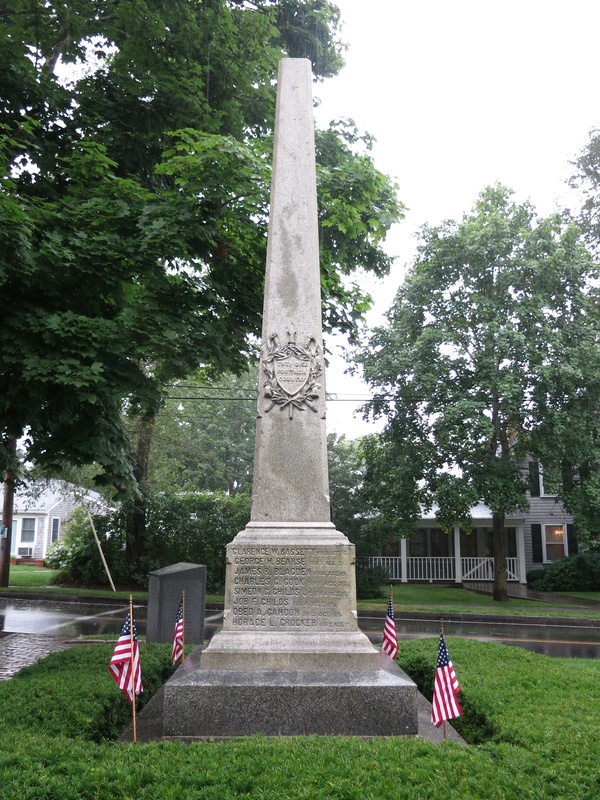 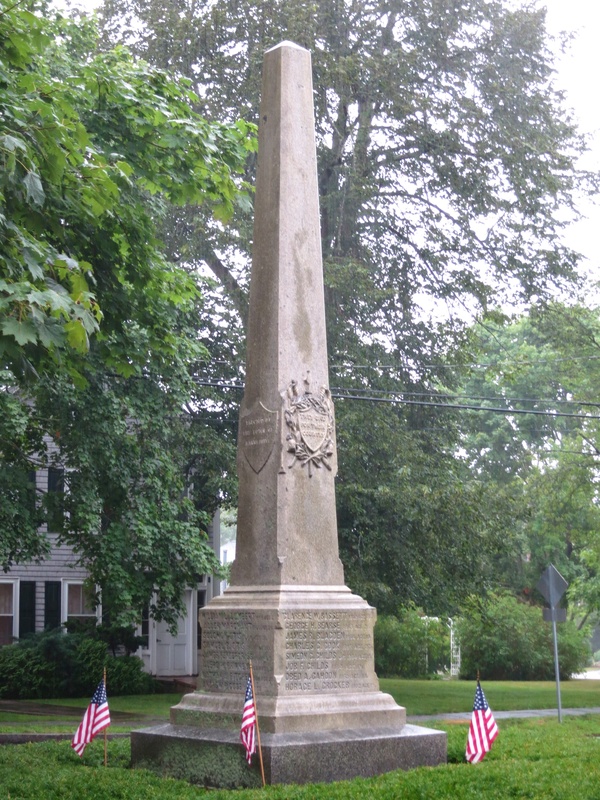 The Soldiers’ Monument in Centerville, a granite obelisk dedicated in July of 1866, stands near the intersection of Main Street and Park Avenue, and is one of several veterans’ memorials on the green. 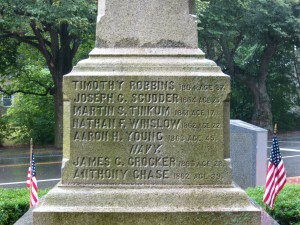 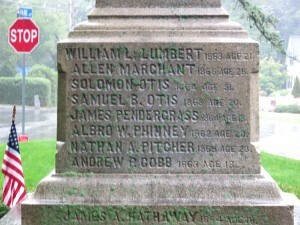 The Civil War monument’s front (north) face lists eight names of of local residents who died during their Civil War service. 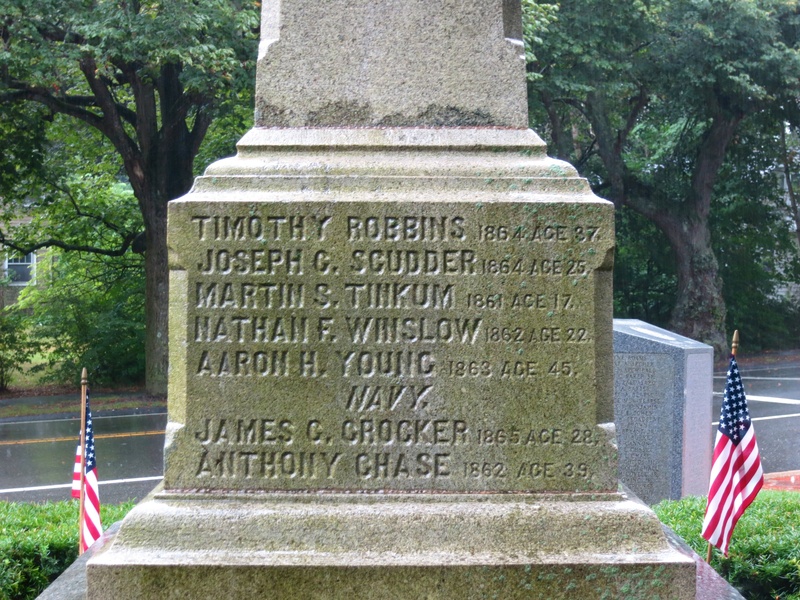 The men ranged in age from 19 to 47. 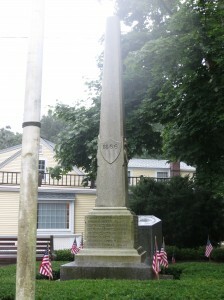 The north face also bears a shield bearing the monument’s 1866 dedication date. 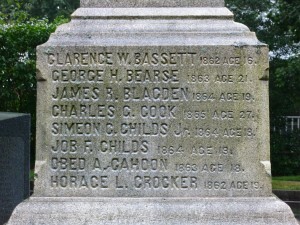 The east face lists eight names, ranging from age 16 to 27. 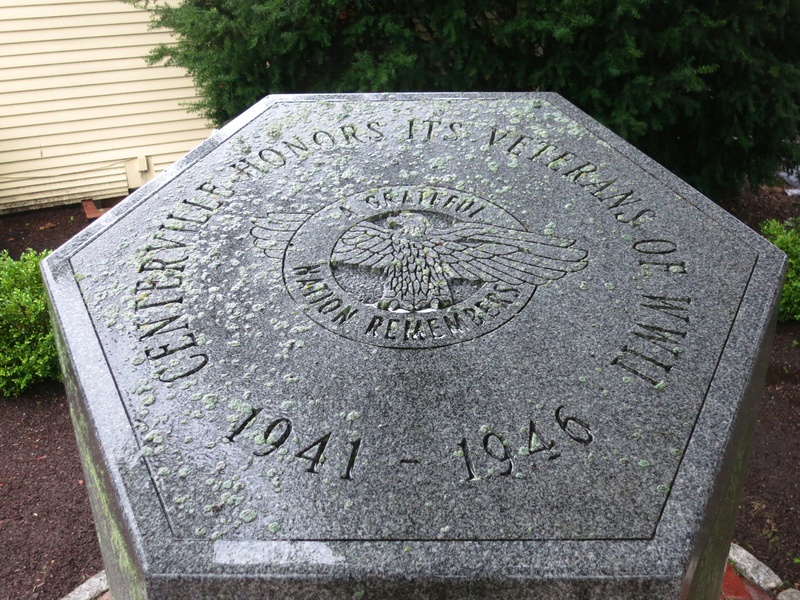 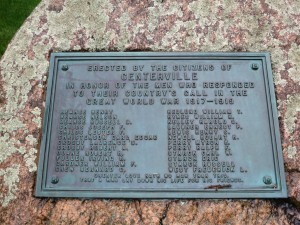 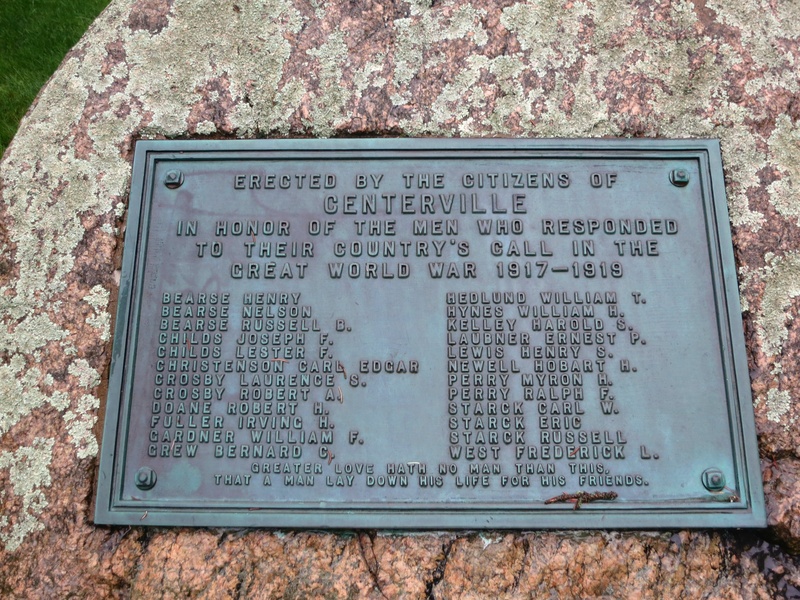 To the north of the Civil War monument, Centerville’s two dozen World War I veterans are honored with a bronze plaque on a boulder that was dedicated in 1927. 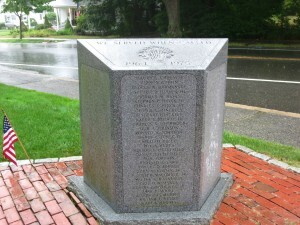 Near the southern end of the green, contemporary monuments honor Centerville’s veterans of World War II, Korea and Vietnam. 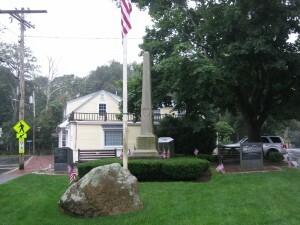 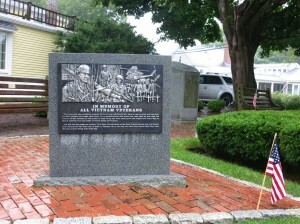 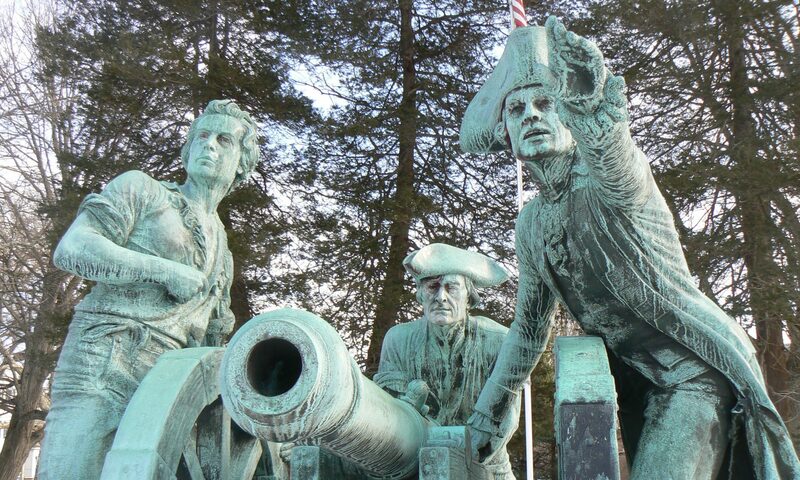 Previous PostPrevious War Memorials, Brewster, Mass.